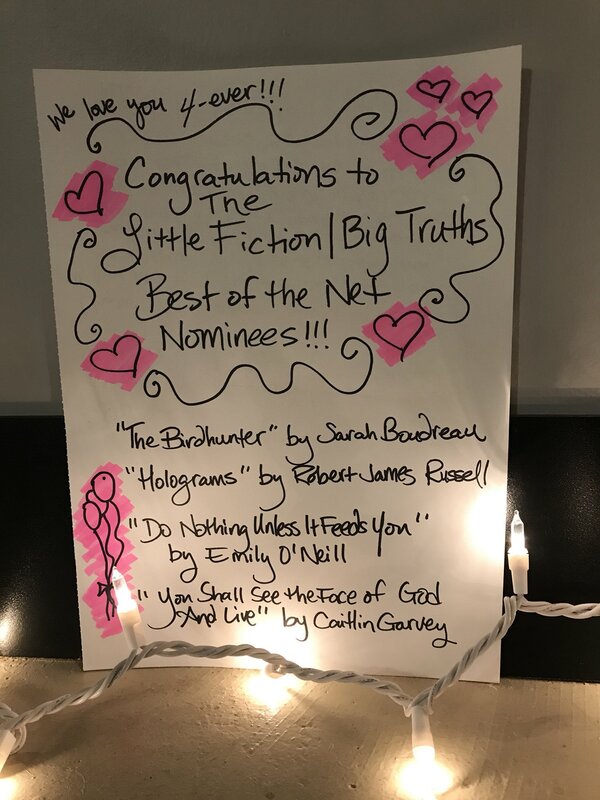 I’m grateful: My short story “Holograms”—about a young woman trying to find her place in the world while working a crummy summer job at the Michigan International Speedway in the early 1990s—was nominated for the Best of the Net by Little Fiction! I”m thrilled to be a part of this stellar cohort. A huge thanks to Beth Gilstrap and Troy Palmer of Little Fiction for being so gracious and championing this piece. You can read “Holograms” online here.